Vending machines are a smart choice for your Boston business, for several reasons: 1) Vending machines cost you nothing up front to install. 2) Vending machines keep your employees at the workplace, not running around Boston to fill basic wants and needs to satisfy their thirst or hunger. 3) Employees will be more energetic and focused on their jobs. 4) Vending machines create a common meeting area for employees to meet, exchange ideas, and get to know each other better. 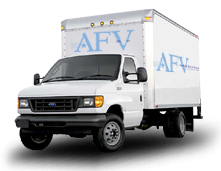 American Food & Vending has been servicing the Boston area for over thirty years. 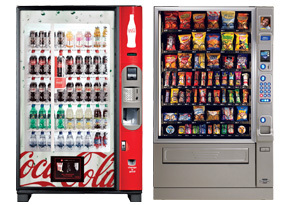 We have the latest in state of the art vending equipment, stocked full of everyone’s favorites. American Food & Vending can take care of all the coffee needs of your Boston office too! We specialize in Newco and Bunn coffee makers and equipment, and Victor brand coffees. Single cup machines, pour over, or air pots are available. We can keep the break room fully stocked with everything required to make the best cup of coffee possible. Teas and hot chocolate will also be available for your employees and customers. Filters, napkins, coffee, cups, you name it. Your Boston business will be ready to pour! We all want to have the best tasting water for our staff and customers. Those cumbersome five gallon water bottles take up space, and are a pain to replace without strained backs and water splashing everywhere! Let us install a water filtration system at your Boston business! Gives you an endless supply of great tasting water! Call us now at (800) 553-2222. Get started today!